PE2500. 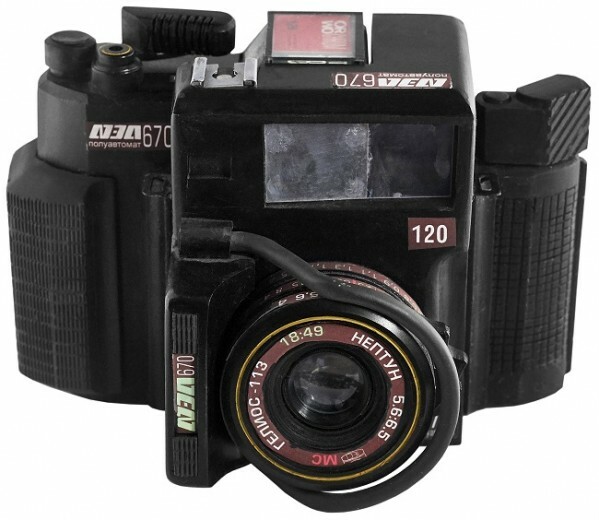 Prototype version of never seen before medium format Fed-670 camera. Triple format (6x4.5, 6x6 and 6x7) camera with rangefinder and interchangeable lenses. Injection-molded plastic body, MC Helios-113 "Neptun" lens 5.6/65mm. At least 2 prototype samples are known to exist. 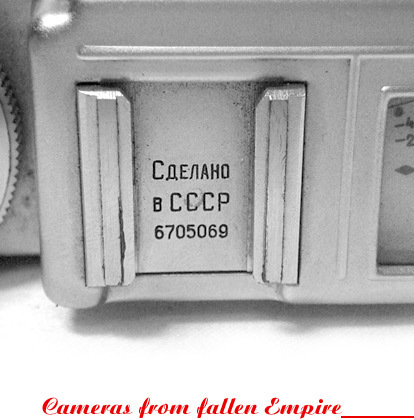 Camera below from Ilya Stolyar (USA) private collection. PE2500 - the dimensional sample of Fed-670 camera. PE2505. Further evolution of MF Fed-670 project. 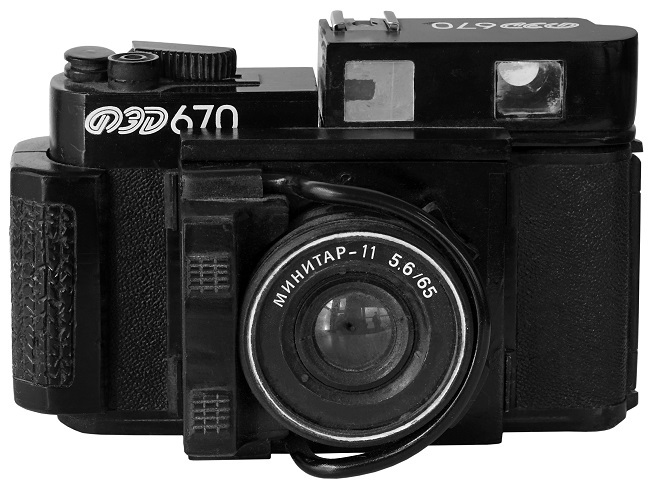 Seems to be the single (6x7) format camera with rangefinder and interchangeable lenses. Injection-molded plastic body. Industar-11 5.6/65mm lens. At least 2 prototype samples are known to exist. PE2505 - the dimensional sample of Fed-670 camera.